Everybody wants to look professional with their marketing, especially with the proliferation of social influencers and content creators dominating on social media. However, it’s tough to compete with major companies who have large budgets for digital marketing and teams of graphic designers to supplement their advertising. We feel your pain! Well today is the day of faking it till you make it. There are tools available that can give you an edge on your content creation without breaking the bank. You don’t have to pay an arm and a leg to achieve professional graphic designs and images with your online advertising. Now, we recently highlighted the 5 Top Stock Photography Sites in 2017, but what do you do once you’ve picked out the awesome images that represent your brand? Sometimes, you want to add text to broadcast a special deal or maybe a logo to solidify your branding to your audience. Whatever the goal, it never hurts to add something extra to your content. Just to preface, some of these sites’ names don’t sound extremely professional, but rest-assured that these image editors are being used by some of the top agencies in social media marketing. If you’re still looking for more, each site offers a premium version with more graphics or editing options, but you can start today for free. One of our favorite image editors is BeFunky. It’s just easy to use and lets you save the images at any size you want; this is important if you’re uploading images to social media managers like Hootsuite that only allow a maximum of 5mb per picture. The visual workspace can feel cluttered due to the abundance of ads, but if you’re looking for fresh filters or fonts, the free catalog is surprisingly colorful. There’s even a designer options that gives you templates for almost anything you need to get started with your brand building. They offer themed or blank layouts for letterheads and business cards for your company, to YouTube banners and Facebook image templates for your social media presence. PicMonkey was actually one of the first platforms we used at UZU Media to brighten up our social clients’ images. We’ve tried a few more since and definitely upgraded to premier applications, but we still suggest PicMonkey to our clients who consult with us on their marketing. This site is riddled with ads as well, so beginners may get a little overwhelmed. The upside about PicMonkey is the ability to save your works for later after you create an account. This is extremely important if you have recurring sales or promotions that need similar designs. Of all the platforms, the Pixlr editor probably has one of cleanest layouts. Pixlr allows you to see your design layers similar to that of other high-end design programs so it just feels a little more professional. 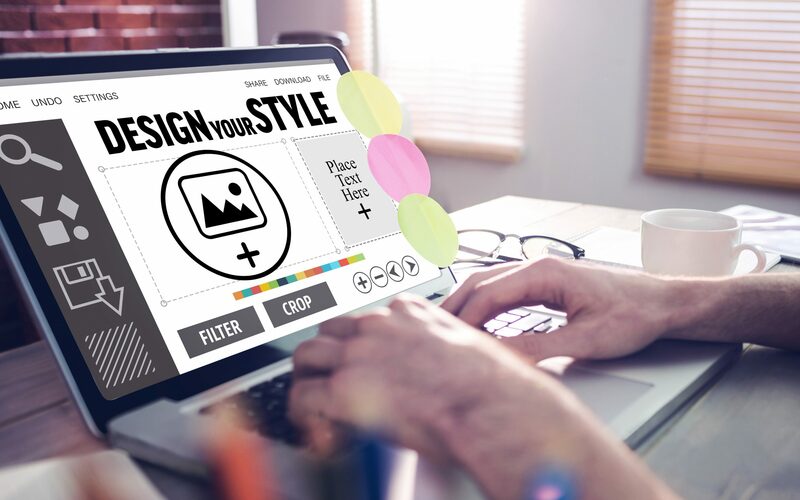 You’re not bombarded with ads in your workspace and it almost seems to have more designer friendly options as to where PicMonkey and BeFunky lock you into templates. What’s Missing From My Media Marketing? Every design option has its pros and cons, but since they’re all FREE, editing your images is worth a try. If you’re not looking up different ways to market your business or gain clientele, you might be missing out on easy-to-use tools that can make a world of difference with your digital advertising. Want to know want more about multi-media marketing? Don’t we all! Start trying new things and see what works for you and your business. We can help!